We hope you are enjoying a restful and joy-filled Holiday Season. We at IIEA and the Blume Team are VERY much looking forward to 2015. We see it filled with tremendous promise and boundless opportunities for all. We are deeply grateful for the support, encouragement and hard work you and Blumers everywhere are doing to make certain our energy future and planet get all the assistance possible to regenerate and transform our present energy matrix into the "green" and renewable future we all envision. Dave Blume will be on Springfield Missouri’s KSGF 104.1 News Talk radio with Host – James Clary Monday 12/29 from 7:00am to 9:00am Central Time. Yes, that means Dave will be talking 5 – 7:00am PT, (8 – 10:00am ET) in a Special TWO HOUR year end interview. This is a great opportunity to get caught up on all of the news from Dave, IIEA and Blume Distillation for 2014. It will also be a good way to learn about coming events such as conferences and talks where Blume will be featured in the New Year. Call in, ask a question, share a thought or just let James and Dave know how important this news is to you and the world. Here are a couple of Dave's latest interview links and a reminder if you haven't seen it yet, "PUMP the movie" is a fantastic introductory discussion about energy choices. It will be available on NetFlix any day now. Please pass these links along to your contacts and help us shine the light of positive change for all to see. 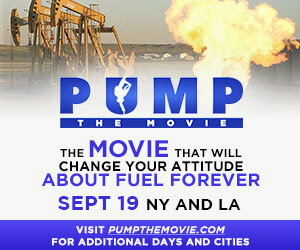 PUMP, a new documentary film that will change attitudes about fuel forever, is narrated by Jason Bateman, and features David Blume along with many other industry luminaries. PUMP tells the story of America’s addiction to oil, from its corporate conspiracy beginnings to its current monopoly, and explains clearly how we can end it – and finally win real choice and competition at the pump. The David Blume: Beyond Belief, program with Host George Noory, Flimed Wednesday July 2, 2014. This two-part interview is available on the GaiamTV archive. If you are not a member of GaiamTV, simply click on the program link below and sign up for the FREE 10-day trial. This screening will reach millions of viewers and by passing the link along, we can help George expand his audience and provide global access to David and the appropriate-scale alcohol fuel message. 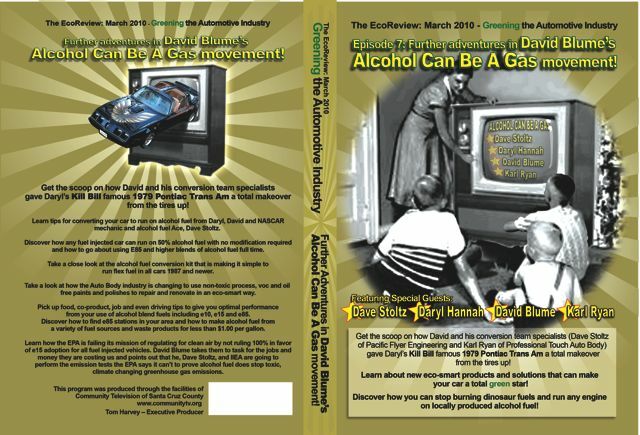 It is hard to believe, but we are down to the last 2,000 hard cover first edition copies of David’s critically acclaimed book, Alcohol Can Be A Gas! These books are the last autographed, hardcover copies available. They make an outstanding addition to personal libraries and are tremendous gifts for family, friends or people you believe really need to understand the benefits and potentials for localized, appropriate-scale alcohol fuel production. For the bargain shopper, there are also a few hundred softcover 1st edition books remaining, but when those are gone, we will be into a new print run. That means we will be working on an updated 2nd edition that will hopefully be available in a few months. We felt you would want to know that this is last call for what is already considered a collectors item. David's book is referred to as “a must read” by Agricultural, business, political, educational and environmental leaders around the world. Of course you get a tremendous value purchasing the book, but IIEA also gets some capital to help ensure it continues to do world-leading work in educational outreach promoting positive change and energy transformation for all. "Brilliant! This book should be on the reading list of every American!!" -Thom Hartmann, New York Times bestselling Author and nationally syndicated Host of The Thom Hartmann Program on Air America..?? "Many of the problems we face as a species come from the way we produce our energy. That is why David Blume is one of my all-time heroes." -Daryl Hannah, Actress, Environmentalist, and founder of the Biodiesel Alliance?? Ask yourself, "Are two copies too much?" Please do order today if you or someone you know wants to help accelerate the work David Blume has started. 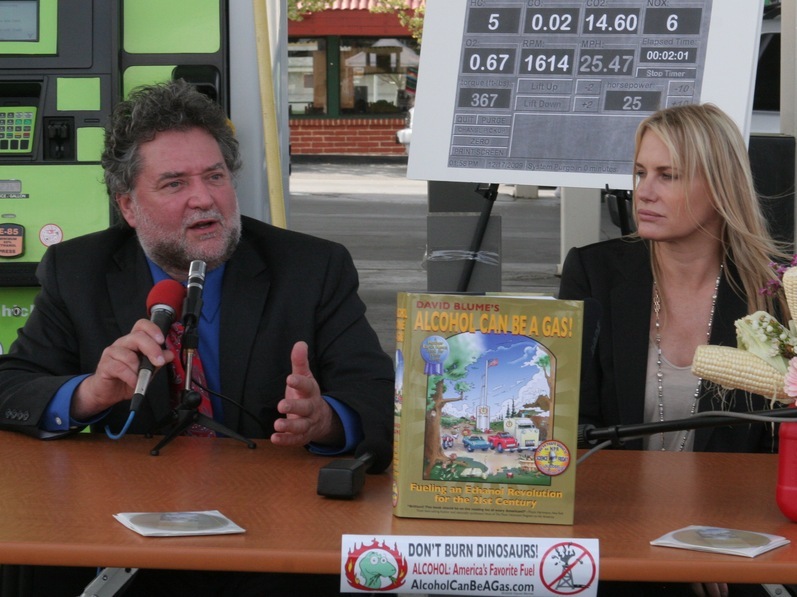 Help spread the truth about appropriate scale alcohol fuel’s potential to solve our energy problems for now and the imaginable future. Select from our special offers below. 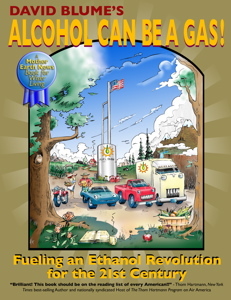 New DVDs and THE book on Alcohol Fuel available! A two and a half hour comprehensive talk by regenerative Ag and Biofuel production expert David Blume that covers his critically acclaimed and Amazon.com best selling book "Alcohol Can Be A Gas! A comprehensive discussion of potential fuel stocks, surplus and waste stream resources to use in making alcohol fuel for less than a dollar a gallon. A discussion of developing high-return byproducts that increase revenue and work opportunities for fuel producers dramatically. 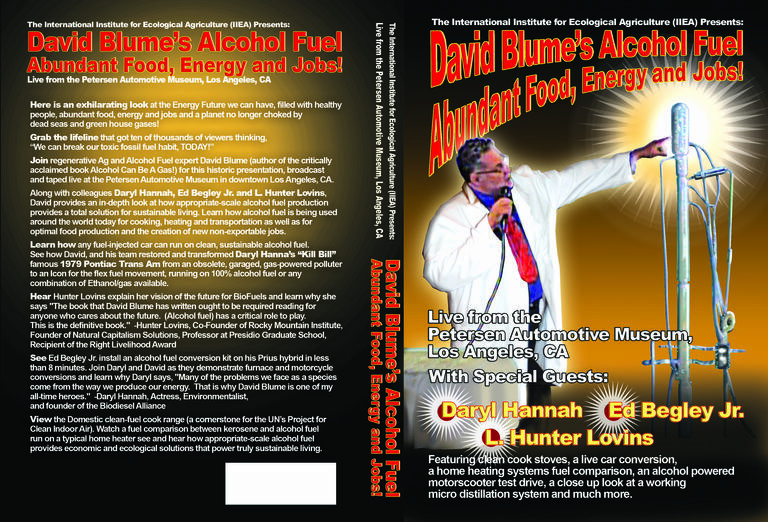 From the Pen of David Blume: The 600 page definitive guide to Regenerative Ag and appropriate-scale alcohol fuel production with over 450 citations, illustrations, design blueprints and a complete ATF Permit for your own still system. Alcohol Can Be A Gas! The resource for transforming our energy future! Limited Edition Harcover only $59.00! This is the primer for real energy independence and sustainable community development! Give yourself the opportunity to produce your own homeland security. Produce your own: abundant food and clean water, fuel for energy, transportation cooking and heating, and non-exportable job opportunities. All the best to you in the bright New Year and on to Abundance!